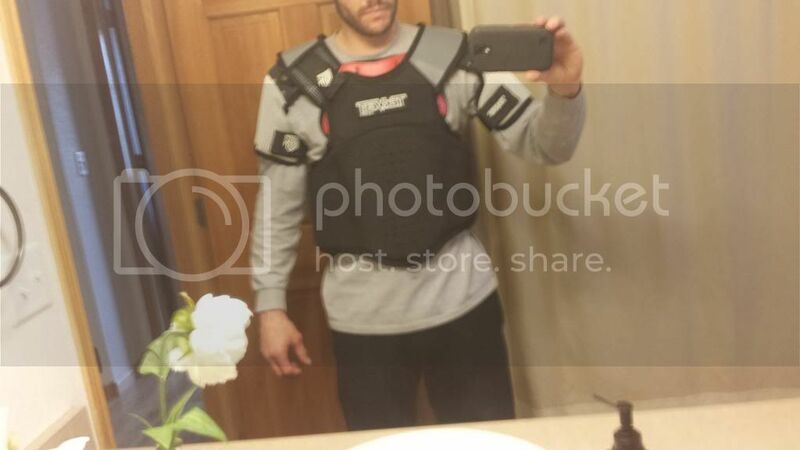 Body Armor / chest protection. View Poll Results: Interested in Group Buy From TekRider? Couple pics to show you what I'm talking about. The red piece is the one I glued on. The whole upper area under the Tek name was just foam. 2016 Axys 3", 2016 M8000 3"
... I think most of their vests for the past 10 years or so have been that way? Freestyle's the only one I have with armor that goes up to the shoulder. Bringing this up front again. I ruined my old vest a couple weeks ago and am in need of a new one I was just wondering if TekRider would be interested in doing another discount for BCR members? Give Steve or Rita a call at Tekrider. 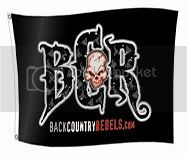 BCR will continue to support Tekrider, im sure they will also help out our members this season. They are some of the nicest people to talk to on the phone. Was looking foward to meeting them at Haydays, unfortunatly they did not make the trip. 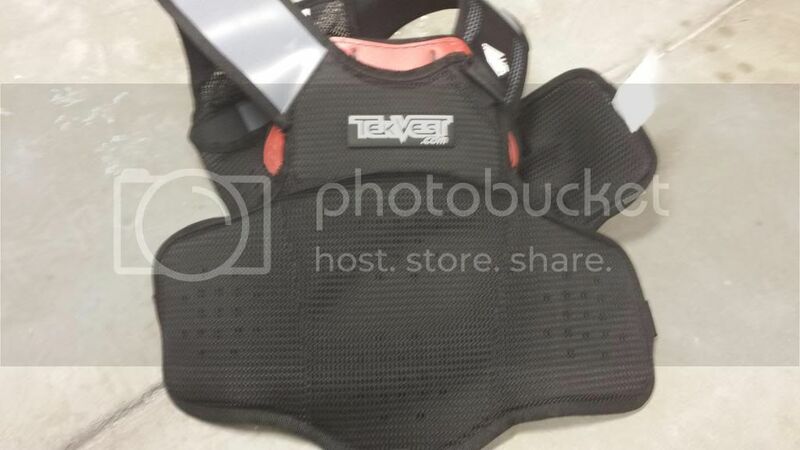 New (never used with tags) Tekvest with backpack, side pouches and front pouches. All removable down to base vest for different riding situations. 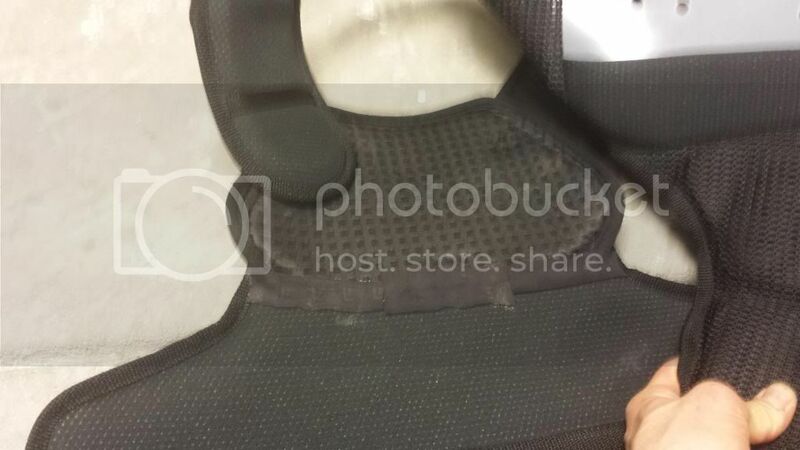 I dont leave home without my vest when sledding, saved me on many occaisions, I'm a bad rider and speller, I also wear knee protection and will be wearing a neck brace for this season.